Spots are limited. 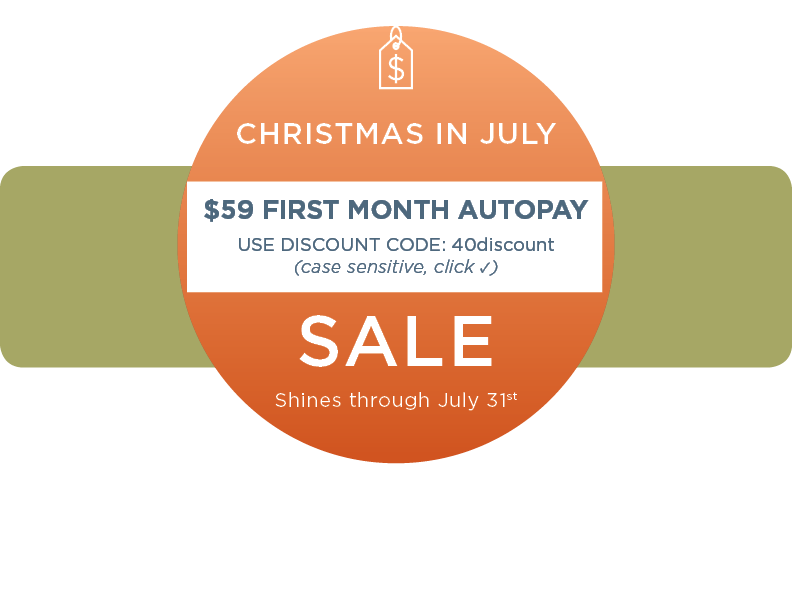 Pre-register to save! 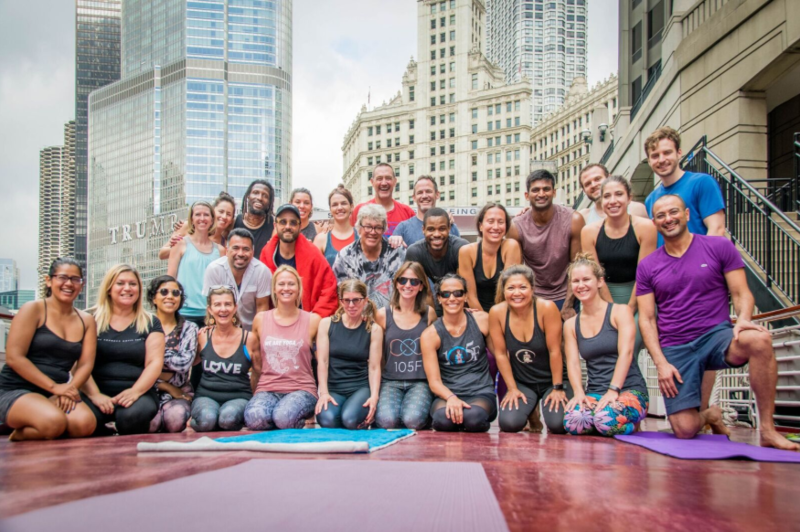 Meet us where The Magnificent Mile meets The Magnificent Chicago River (401 N. Michigan Ave.) for a very special 60-minute Vinyasa Vibes yoga class led by Katy Hanlon on (yes ON!) the deck of one of Shoreline’s sightseeing boats. 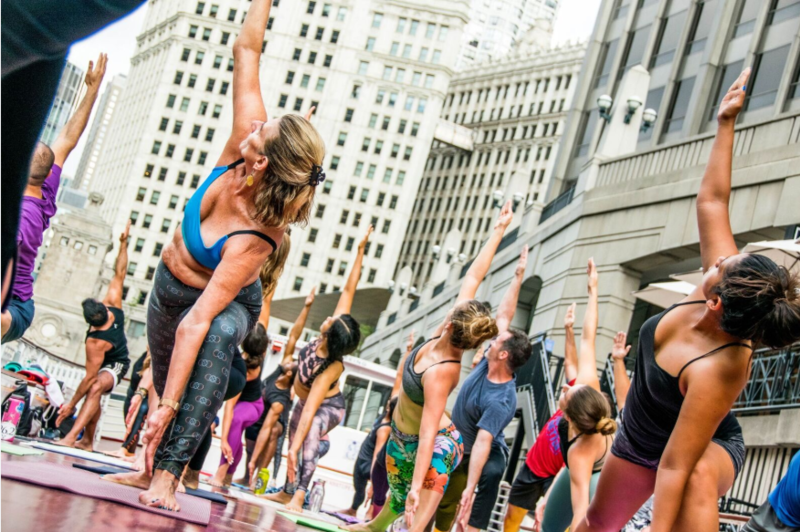 After we get a good morning stretch, we will roll up our mats, push out into the river, and embark upon a 75-minute floating tour of Chicago’s amazing architecture. And guess what? The architecture tour will be led by our City’s best harmonica playin’ docent (and veteran 105F’er), Kevin Burrows. Move to the energy of some vibrant vinyasa beats, and create space for yourself to let go, have fun and get lost in your flow. 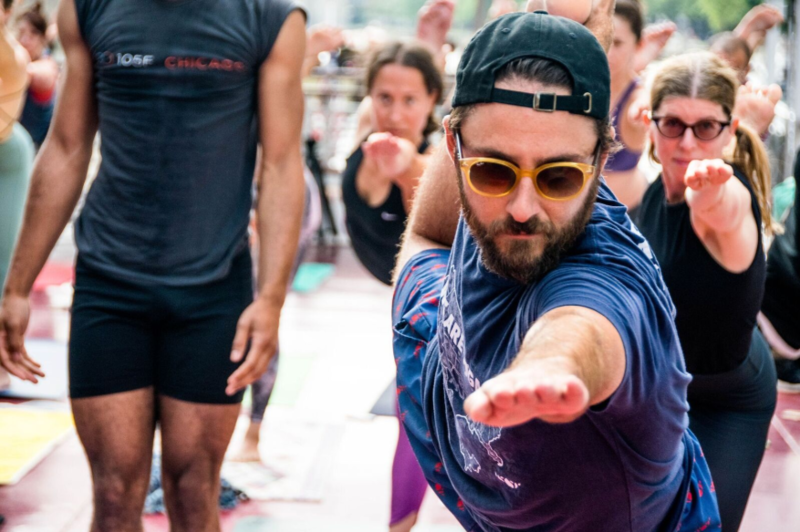 In this class, the upbeat music, the beat, the energy and the breath will guide your body through the energizing practice–creating the space for a shift –on the mat and off the mat.